Thanks for visiting "FYI." This website offers Kaiser Permanente Southern California's perspective on some of the challenges, issues, and opportunities facing our region as we work to meet our promise to deliver high quality and more affordable health care to people in the communities we serve. It’s great to be able to report to you that our 2-day opening session of bargaining between Kaiser Permanente and the Coalition of Kaiser Permanente Unions went very well. Our goal is to craft a strong new KP–Coalition National Agreement that advances not only the interests of our organization and our employees who are represented by the Coalition unions, but that also better serves our members and patients. In these 2 days, we created a strong foundation that will help us achieve that success. The most important part of this session was the joint interest-based bargaining training. The interest-based bargaining process is central to the success of our Labor Management Partnership. It’s an approach that allows both parties to identify our shared interests and develop options to strengthen our partnership, ensure we have the best place to work, and create innovative solutions that meet the needs of our members and the communities we serve. The interest-based bargaining process creates the framework where that can happen. In addition, the group began to lay out what we see as the scope of work for 3 subgroups: Operations and Care Quality, Partnership, and Workforce of the Future. Participants also took time to express what’s most important to them in their jobs as health care professionals. This photo sums up the spirit and collaboration of the session. Kaiser Permanente believes in partnership. Our commitment to our unions is as strong today as ever. With many of the Coalition unions’ local contracts close to expiring, it’s important to seek a new mutually beneficial Agreement. By working in partnership with the unions that represent our employees, we will continue to achieve the best results for our members, patients, and the communities who depend on us to provide high-quality, affordable health care — and help to keep Kaiser Permanente a great place to work. This starts with our pledge to bargain in good faith and our commitment to reach fair and equitable agreements that provide our employees with excellent, market-competitive benefits and wages. We look forward to giving you further updates. The next session will be May 14-16 in Los Angeles. I HAVE READ THE POSTING POLICY. Please do not include any medical, personal, or confidential information in your comment. Conversation is strongly encouraged; however, Kaiser Permanente reserves the right to moderate comments as necessary to prevent medical, personal, and confidential information from being posted on this website. In addition, Kaiser Permanente will remove all spam, personal attacks, profanity, and off topic commentary. Finally, we reserve the right to change the posting guidelines at any time, at our sole discretion. A message to our Healthcare Professionals from Annie Russell, RN, chief operating officer, Southern California Permanente Medical Group; Arlene Peasnall, senior vice president, Human Resources Consulting, National Human Resources, Kaiser Permanente Health Plan and Hospitals; and Maryanne Malzone, interim senior vice president, Human Resources, Kaiser Permanente Southern California Health Plan and Hospitals. The 16th bargaining session between Kaiser Permanente and NUHW’s Healthcare Professionals unit occurred on Tuesday, April 16. Kaiser Permanente and NUHW reached a tentative agreement for the Regional Professional Practice Committee. An economic package that included a counter to NUHW’s proposal to increase the bilingual pay for Speech Therapists was presented by Kaiser Permanente. NUHW offered a career ladder proposal for audiologists, speech therapists, and dieticians. KP rejected the proposals for the first two groups and will review the language for dietitians. The next bargaining session is scheduled for April 30. At the 20th bargaining session held April 12, Kaiser Permanente and NUHW representatives finalized a tentative agreement on how to create a “Psychotherapy Model of Care and Innovation Collaborative.” This would be a 10-member group that would include an equal number of NUHW and KP representatives who would meet on average twice a month and require a 6-month commitment to develop measurable and clear recommendations to improve delivery of effective, high-quality clinical care. An additional tentative agreement was signed by both parties to retain a subcontracting provision from the expired 2015 – 2018 agreement. KP also proposed a tentative agreement centering around incentive plans for Psychiatry, Addiction Medicine, Medical Social Work, and Home Health. The proposal is currently under review by the NUHW. Other economic items were not addressed during this session and may be discussed at the next confirmed bargaining session scheduled on April 24. As you are aware, Kaiser Permanente and NUHW have been bargaining since July 2018. Throughout the process, we’ve been committed to providing you with ongoing bargaining updates. As a valued employee, we think it’s important that you receive accurate information from both sides of the bargaining table so that you can make informed decisions. Recently, you received communications from the NUHW leadership that we must respond to directly because it contains misinformation and false claims. Kaiser Permanente, its leaders, physicians, and employees support our unions and value the process of arriving at a contract that benefits the employees and organization, and ultimately sustains our mission of health for our members and communities. This process only works when it’s built on a foundation of transparency, trust, and truth. Please take a few moments to review the information that follows below. As always, we’re grateful for your dedication to the mission, our members and patients. NUHW Claim: In the three months since we went on strike, KP has barely moved on core issues that must be resolved in our next contract. At KP we are committed to paying market competitive salaries and benefits, including retirement, to our people to ensure we keep the great people we have and continue to attract and retain new talent. NUHW Claim: KP has offered no realistic proposal to increase staffing, improve access to treatment appointments, or make our schedules more manageable. KP Response: We’ve been addressing options to meet the ever-increasing demand for mental health services, including improving access and the use of highly-qualified outside contractors (this latter option was agreed to by NUHW when it signed the 2015 contract). These outside mental health professionals have contributed to easing the appointment demand as we also continue to address access needs by building additional facilities and offices for our therapists. We’ve also proposed the creation of a new “Psychotherapy Model of Care and Innovation Collaborative” – a 12-member group that would include an equal number of NUHW and KP representatives who would meet on a quarterly basis to develop strategies to address issues such as access to care and how our current model needs to evolve for KP to be the model for Behavioral Health. NUHW Claim: KP is offering lower raises than what they provided to other unionized workers. KP Response: Our wage proposals are based on market data that shows KP already pays wages that are above the market. NUHW’s demands for wage increases are unreasonably high, and that’s why we’re far apart on economic issues. Additionally, the union’s current wage demands place an unfair and unsustainable burden on our membership and establish false expectations among the KP Southern California employees it represents. Each contract we establish with one of our unions is a separate agreement determined through bargaining and based on the circumstances of that bargaining unit. NUHW Claim: KP has refused to restore defined-benefit pensions for recent hires in Southern California. KP Response: This is true. As we’ve said, Kaiser Permanente will not restore this program. It’s an unsustainable plan over the long term. The union, of its own accord, agreed to eliminate this program for new hires when it signed the 2015 agreement. And if we’re going to make our members’ health care more affordable, we cannot resume highly expensive programs of the past. NUHW Claim: KP is refusing to seriously tackle major problems or treat NUHW members with the same dignity as its other employees. KP Response: We always have and always will respect our unions and their members. It is employees — represented or not— working in concert with our physicians, nurses, and other health care professionals who make it possible for us to meet the health needs of our 4.6 million Southern California Health Plan members. Throughout our nearly 75-year history, we have a strong record of positive performance and success when it comes to bargaining fairly with the unions that represent our employees. We value our employees as well as their rights to be represented by their unions. The 15th bargaining session between Kaiser Permanente and NUHW’s Healthcare Professionals unit occurred on Wednesday, March 27. The parties signed a tentative agreement regarding tuition reimbursement; this will increase the amount of the total annual reimbursement that can be allocated to travel and lodging expenses. Kaiser Permanente proposed an increase in the Employer match for the Defined Contribution retirement plan and is awaiting the Union’s response. NUHW reiterated their position concerning the importance of their proposed increase in bilingual pay for Speech Therapists and adding a 15-year longevity step for all Health Care Professionals’ classifications. The union also agreed to clarify by the next bargaining session a previously submitted proposal regarding career ladders. The next confirmed meeting date is April 16. On Tuesday, March 26, we held the 19th bargaining session between Kaiser Permanente and NUHW’s Psych-Social Chapter. As previously agreed to by labor and management, Tom Schneider, an outside consultant from a company called RAI, served as the session’s facilitator. Also in attendance was NUHW president, Sal Rosselli. The meeting, which began on a positive note, ended abruptly with the unexpected departure of the union delegation. This session concentrated on continuing to outline parameters agreed to during the March 15 meeting to create a Psychotherapy Model of Care and Innovation Collaborative. A subgroup of management and union representatives met offline on two occasions following the March 15 meeting to produce a joint proposal to be approved by the full union and management committees at the March 26 session. The NUHW team agreed in principle to the proposal and viewed the creation of the Collaborative as a very positive development. After the union took a lengthy caucus, KP was informed that the union would not agree to the Collaborative proposal unless the same terms were offered and accepted by the Northern California Region KP-NUHW bargaining teams. KP requested an explanation of this new demand from the subgroup’s union members and requested to bring the parties back together. It was at this point that KP learned the NUHW team had left the building without explanation or advisement to the KP team. Our next scheduled session is April 14. A message to our Psych-Social Workers from Annie Russell, RN, chief operating officer, Southern California Permanente Medical Group; Arlene Peasnall, senior vice president, Human Resources Consulting, National Human Resources, Kaiser Permanente Health Plan and Hospitals; and Maryanne Malzone, interim senior vice president, Human Resources, Kaiser Permanente Southern California Health Plan and Hospitals. At the 18th bargaining session held March 15, 2019, Labor and Management representatives discussed how to create a Psychotherapy Model of Care and Innovation Collaborative. The next steps on this concept is for a small subgroup to work on an initial draft document that can be presented as a formal proposal at the next bargaining session. Additionally, a Tentative Agreement was signed regarding tuition reimbursement, allowing employees to submit up to $750 of the maximum annual tuition reimbursement ($3000) for travel, room/lodging expenses. Management also proposed an increase in the Employer match under the DC Plan to 2%. The Union is reviewing the DC proposal. Lastly, discussions regarding the various Incentive Plans were also part of the session. The parties agree in principle to the proposed Psychiatry, Addiction Medicine and Home Health/Hospice Plans; the Medical Social Worker Incentive Plan remains open. The next confirmed bargaining date is March 26, 2019. During the 14th bargaining session between Kaiser Permanente and representatives of NUHW’s Healthcare Professionals’ unit held on February 22, both sides reviewed topics and issues to prepare for a late March meeting that will include a third party, Tom Schneider, JD, PhD, from RAI, a consulting firm that specializes in solving complex organizational challenges. Dr. Schneider’s inclusion was proposed by Kaiser Permanente at the February 8 session to help advance bargaining and NUHW later agreed to this approach. In other related discussions, NUHW and KP continued conferring on benefits issues. Additionally, the union said it planned to present at the next negotiating session career ladder proposals for certain employee groups, as well as a counterproposal to KP’s ED leave language. The next Healthcare Professionals’ bargaining is scheduled for March 27. The possible reviewing of a career ladder for Outpatient Dietitians. Additionally, KP rejected NUHW proposals that would have created certain new job classifications and positions. KP proposed engaging the assistance of a third party, to assist with advancing bargaining. NUHW is expected to respond to this idea next week. Next bargaining date is scheduled for February 22. At the 17th bargaining session held today, February 12, Kaiser Permanente proposed a counter to NUHW’s “Staffing and Access” proposals that provided for a new Regional Health Access Committee to develop ways to meet key organizational mental health access objectives. This proposed 12-member group would meet on a quarterly basis and include an equal number of NUHW and KP representatives. The union indicated it would consider the proposal. Today’s discussions also included the creation of a new job classification, an incentive program, overtime pay, and tuition reimbursement. Negotiations for all these topics are expected to continue at the next bargaining session. KP proposed engaging the support of a third party to assist with advancing bargaining. NUHW agreed and both sides will take steps to plan how and when this process will occur. Two bargaining dates have been suggested: March 15, which is tentatively scheduled, and March 26, which is confirmed. 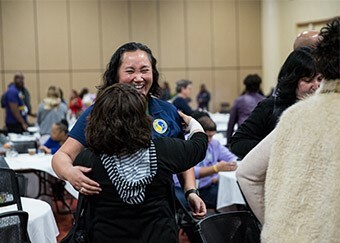 At the 12th negotiating session with NUHW’s Healthcare Professionals held Wednesday, January 23, Kaiser Permanente provided a package proposal intended to help advance the pace of bargaining. Its proposal comprised Voluntary Benefits, Alternate Compensation Program, Regional Professional Practice Committee, and Education Leave – including tuition reimbursement. While discussions were held about wages, certain benefits, and a performance incentive plan, both sides remain far apart on the specifics of these economic issues. NUHW agreed to review the KP package, and KP stated it was continuing to review the NUHW package proposal presented at the last bargaining session held January 11. Both sides agreed to February 8 and 22 as next bargaining dates. We appreciate the continued dialogue. Kaiser Permanente and NUHW concluded their 16th bargaining session on Friday, January 18. During this meeting, Kaiser Permanente presented a tuition reimbursement proposal for all benefit-eligible employees who’ve been employed for at least 90 days. The benefit allows for a portion of these funds to be used to reimburse employee travel and room/lodging expenses. NUHW offered a counterproposal that KP will review. Kaiser Permanente also provided a written proposal confirming its January 3 verbal offer to increase the HRA funding levels for each year of service for qualifying employees who retire after January 1, 2020. Kaiser Permanente said it is not opposed to considering NUHW’s proposals to increase nurse wages and add new psychologist classifications. At the same time the Union was informed that KP would evaluate these proposals in light of the broader, overall economic package, and it would be helpful for Kaiser Permanente to know and understand the Union’s economic priorities. NUHW presented a new Staffing and Access Committee proposal, which provides for the establishment of Joint Staffing Committees at each medical center. Kaiser Permanente will review the proposal and respond in the future. Additional bargaining dates are being reviewed by labor and management. Representatives from Kaiser Permanente and NUHW’s Healthcare Professionals’ unit met for their 11th bargaining session on Friday, January 11. Kaiser Permanente presented a modification to the Healthcare Professionals’ health reimbursement account for those who retire after January 1, 2020. The offer includes a significant increase from its initial offer. Wage market data was presented at the session. It showed that Kaiser Permanente Healthcare Professional employees are paid above median market rates. NUHW and Kaiser Permanente wage proposals continue to be far apart. In response to an NUHW inquiry about tuition reimbursement rates, Kaiser Permanente committed to reviewing the issue. The two sides agreed to meet on January 23. Representatives from Kaiser Permanente and NUHW’s Psych-Social Workers unit met for their 15th bargaining session on Thursday, January 3. Kaiser Permanente verbally offered a modification to Psych-Social employees’ health reimbursement account for those who retire after January 1, 2020. A written version of this proposal will be presented to the union at the next bargaining session scheduled for January 18. Market data for wages regarding the psychologist and psychiatric social worker categories was presented to show the competitiveness of Kaiser Permanente’s wage proposals for these employee groups. Kaiser Permanente is evaluating NUHW’s proposal to establish 2 new psychologist classifications – development psychologists and neuropsychologists. Also under review are proposals for psychiatric RNs. KP said it would respond at the next bargaining session on January 18. Representatives from Kaiser Permanente and NUHW’s Psych-Social Workers met today, December 20, for their 14th bargaining session. Discussions centered on incentives, staffing and access, and wages. Kaiser Permanente provided a counterproposal on wages that included a modification to its across the board wage increase. KP also countered NUHW’s “Staffing and Access” proposal received on December 5, suggesting that issues related to access and telehealth be addressed in the Regional Professional Practices Committee with the discussion of those issues to begin shortly after ratification of the contract. NUHW rejected a modification to KP’s Home Care Incentive Plan offer that was presented. KP will have further internal conversations about the union’s concerns with the plan, and it will also review the union’s counterproposal to the Medical Social Services Incentive Plan. Our next bargaining session is scheduled for January 3, 2019. Welcome back to each of you, our valued staff, who were on strike from December 10 to December 15. We also want to express our deep appreciation and thanks to those who placed the needs of our patients first and stayed on the job during the work stoppage. We look forward to our upcoming bargaining sessions with NUHW, so that we can reach a fair contract that will allow us to collectively move forward and continue to deliver outstanding care to our members and patients every day. We respect the rights of each employee to work with and support their representative unions. At the same time, each of our employees also has the right not to be pressured or intimidated to participate in a work stoppage. We have strict policies in place to protect employees’ rights to choose whether or not they want to participate in lawful union activity. As we return to post-strike operations, we understand there may be lingering differences of opinion about the work stoppage and other union-related issues. We ask that you remember we are here to care for members and patients either directly or indirectly and to set aside labor-related differences while we continue contract negotiations going forward. Each employee is expected to follow all applicable policies and rules, including our Principles of Responsibility and the policy against harassment in the work environment, regardless of any differences of opinion about union related issues. We expect and require all employees to treat each other with courtesy and respect and maintain an environment free of harassment. If you believe you have been subject to any of this behavior, you should inform your immediate supervisor and/or contact your Human Resources Department. We know that you will continue doing what you have already proven you do so well – delivering the high quality care and service our members and patients expect and need to make their lives better. As you may know, the National Union of Healthcare Workers, the union representing mental health workers at Kaiser Permanente, has called for a five-day strike this week. We want our members and patients to know that during this strike, we are working hard to deliver high-quality care and services. All our hospitals and medical offices are open. Anyone in need of urgent mental health or other care will receive the services they require, although some non-urgent services are being rescheduled. We apologize for any inconvenience caused by this unnecessary strike. It’s particularly disheartening that union leadership would call this strike during the holiday season, when many of our patients with mental health needs may be at their most vulnerable. Alongside our therapists, Kaiser Permanente has been on a path to be the best mental health and addiction care program in the nation. The quality of the care we provide has been recognized by the state’s Office of the Patient Advocate, and by national quality organizations. We don’t think there is any other organization that is doing more than we are to make mental health care better in the United States. We are committed to doing even more, to innovate, to advance care, and to continually seek to improve what we do. We have been hiring therapists, increasing our staff by 30 percent since 2015 – that’s more than 500 new therapists in California – even though there’s a national shortage. We’ve invested $175 million to expand and improve our mental health care offices, to provide environments that offer our patients convenience, comfort and privacy. Kaiser Permanente is the highest paying employer for mental health workers in California. The union is demanding wage increases that would be even higher. Across Kaiser Permanente in Southern California, the majority of psychologists earn $135,000 or more, and the majority of social workers earn $109,000 or more. In Northern California, the majority of psychologists earn $138,000 or more, and the majority of social workers earn $111,000 or more. The union’s principal demands at the bargaining table have not been about improving care and access. Rather, in addition to seeking even higher wages and benefits, the union is demanding changes to performance standards that would reduce, not increase, the availability of mental health care for our patients. The union wants to reduce the amount of time caregivers spend seeing patients, from an average of 75 percent of time they agreed to in 2015. This would mean fewer appointments for our patients. Even though there is a shortage of caregivers, the union wants to stop Kaiser Permanente from working with highly qualified community therapists to ensure access to care for our patients. Even worse, the union is discouraging community-based caregivers from treating our patients during this strike. In the union’s words, they are trying to “shut down mental health services” this week. This is irresponsible and dangerously insensitive to people in need of care. And in full disclosure: we are seeking no takeaways in our contract proposal. We are offering wage increases which would keep our expert therapists among the best compensated in their profession, and continue to ensure that we attract and retain the most highly skilled professionals. Despite the union leadership’s tactics, we are committed to responsibly reaching a new contract agreement. We value our therapists and are calling on them to talk to their union leadership and urge them to bargain constructively, and stop putting our patients in the middle of their contract demands. Representatives from Kaiser Permanente and NUHW’s Psych-Social Workers met today, December 5, for their 13th bargaining session. During the 5½-hour meeting, discussions centered on incentives and compensation. Kaiser Permanente reviewed proposed incentive plans for Medical Social Workers and for Home Health employees. NUHW countered these proposals with a request to use the same incentive guidelines from the last contract for the first year of a new contract. Incentive guidelines for the remaining two years of a new contract would be collaboratively developed. Kaiser Permanente will review the union’s offer. NUHW presented a package proposal that included compensation as well as new, first-time proposals for psychiatry staffing and access. The union’s offer included a call for changes from the expired contract in their Health and Welfare, Retirement, Earned Time off, and Retirement Medical Health Benefits. Also proposed was the restoration of the defined benefit plan, reduced copays, medical subsidy, and a health medical account at levels higher than what existed in the recently expired contract signed three years ago. NUHW proposed for the first year of any new contract revised across-the-board wage increases and a lump-sum payment, including a new wage increase for its Psych RNs. Other compensation topics discussed include a longevity step adjustment and pay differentials. While the two sides are still far apart on compensation issues, Kaiser Permanente will review and evaluate today’s NUHW counter proposals. Kaiser Permanente offered three dates for future bargaining sessions: December 17, December 20, and January 3, 2019. Based on the continuation of bargaining and the ongoing exchange of proposals, Kaiser Permanente sees no reason for NUHW’s statewide strike scheduled for December 10 through December 15. It will interrupt patient care and could seriously impact vulnerable lives. Additionally, a strike, combined with the union’s negative claims about Kaiser Permanente’s mental health care, may well discourage patients from seeking the care they need. As health care professionals, your patients need you to be there for them. Patients should not be put in the middle of contract negotiations. Nor should our Psych-Social Workers and Healthcare Professionals be asked to sacrifice their income when continued earnest bargaining is the avenue to reaching a labor agreement. We approach these negotiations sincerely with a desire to settle and reach a fair agreement. We hope the union will work with us to do the same. Representatives from Kaiser Permanente and the NUHW Psych-Social Workers unit held their 12th bargaining session today. The meeting, which ran for approximately 5 hours, concerned Kaiser Permanente’s incentive plan and metrics proposal. This plan affects NUHW-represented employees working in Psychiatry, Addiction Medicine, and Medical Social Services. Kaiser Permanente had planned to discuss its incentive and metrics proposal with the Home Health employees unit as well; however, the employer’s representatives for that unit were not available. Talks about this proposal with the Home Health unit will be held at a future meeting. There continues to be a significant difference between the compensation proposals made by NUHW and Kaiser Permanente. Kaiser Permanente looks forward to bargaining in good faith on these differences and advancing the bargaining process to reach a fair agreement. There were no tentative agreements reached at today’s meeting. December 3 or December 17 were offered as tentative dates for next bargaining. Contract negotiations to reach a new labor agreement with NUHW began on July 9. Representatives from Kaiser Permanente and the NUHW Psych-Social Workers unit held their 11th bargaining session today. Contract negotiations to produce a new labor agreement began on July 9. Kaiser Permanente presented a counter proposal to NUHW’s compensation offer made on August 31. It presented across-the-board wage increases and annual lump-sum payments that it viewed as competitive with the marketplace. Kaiser Permanente’s counter also included maintaining the provisions established under the 2015 to 2018 Collective Bargaining Agreement for differentials/reimbursements, Health and Welfare, Earned Time Off, Retirement Plans, and the Retiree Medical Program. It also offered to continue the incentive plan award to a maximum of $5000. Also proposed were specific incentive plans for Medical Social Services and Home Health. Changes to the incentive plan metrics were also proposed. Union representatives expressed dissatisfaction with the counter offer. Kaiser Permanente looks forward to discussing the differences between the NUHW compensation proposal and Kaiser Permanente’s counter offer at the next bargaining session to be held on November 7. © 2019 Kaiser Foundation Health Plan, Inc. All rights reserved.